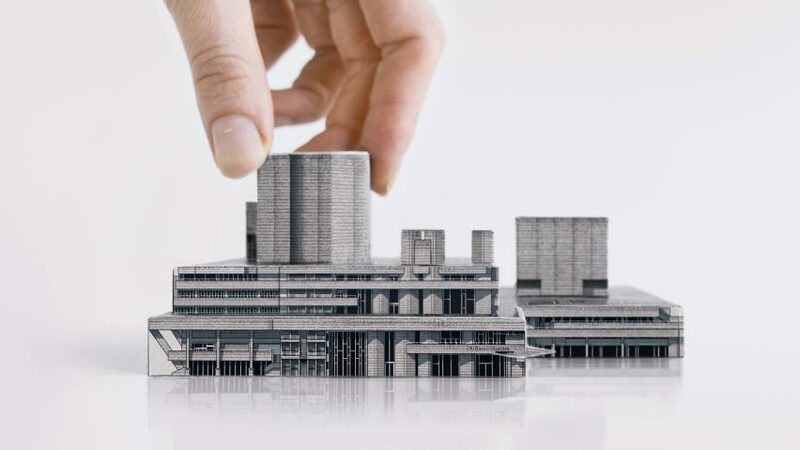 Dezeen has teamed up with publisher Prestel to give away five copies of a book about London's brutalist architecture, featuring nine pull-out 3D models. This competition is now closed. Congratulations to the winners, which are Ruben​ ​Perez​ from London, UK; Paul O'Neill​ from Dublin, Ireland; Thomas​ ​Soldiviero​ from Washington D.C., USA; Alex Yap	Tsi Tung from Woodlands, Singapore and Rachel​ ​Yin​ from Eindhoven, The Netherlands. Brutal London: Construct Your Own Concrete Capital by Zupagrafika contains photographs and descriptions of brutalist buildings across the UK capital, including illustrations that can be detached and constructed into 3D models. It promotes one of the 20th century's most controversial architecture movements, which has come back into vogue in recent years. The book was compiled by Poland-based design studio Zupagrafika and features a foreword by British architect Norman Foster. "This book will enable a wider audience to engage with the brutalist architecture of London in a new year through crafting the models with their own hands," said Foster. Models included in the book include the Alexandra Road Estate in Camden, Robin Hood Gardens in east London and the iconic Barbican Estate. Alison and Peter Smithson are believed to have been the first architects to adopt the term brutalism – deriving from the French term for raw concrete, béton brut, used by Le Corbusier in the late 1940s. Many examples of the style have faced demolition in recent years. Most recently, a campaign to save the Smithsons-designed Robin Hood Gardens estate in London failed and the building is due to be pulled down soon. Brutal London: Construct Your Own Concrete Capital was launched by Prestel in October 2016. Five readers will each win a copy of the book, but it can also be also purchased online for £13.59.